Catalogue > Cities: maps and sights of cities and villages > 5. Utrecht > LANGBROEK. 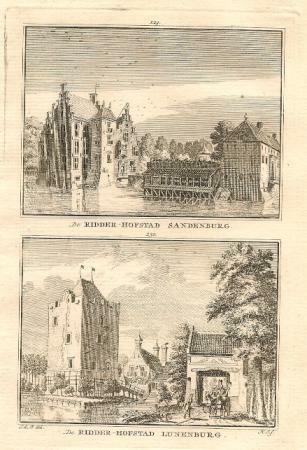 Sandenburg / Lunenburg. "De RIDDER-HOFSTAD SANDENBURG. / De RIDDER-HOFSTAD LUNENBURG."